Join the Flathead Land Trust on August 16th at Cypress Yard in Whitefish for our annual fundraising event to celebrate and protect open spaces and wild places throughout northwest Montana. 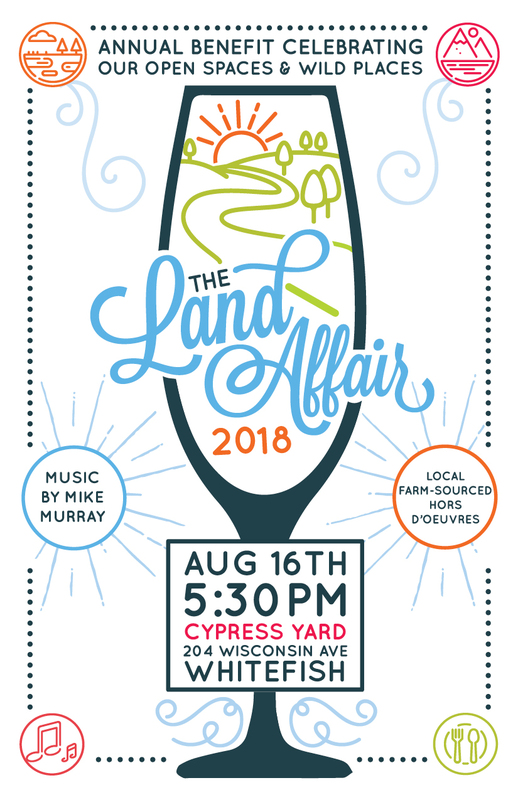 This colorful and festive evening event will include live music by singer/songwriter Mike Murray, local farm-sourced appetizers, beer, wine and champagne, and an exciting silent auction and live drive. The new venue is owned by prolific Flathead Valley artist Nancy Cawdrey and her family and includes an art gallery, and beautiful outdoor courtyard. The Land Affair is a benefit for the conservation work of Flathead Land Trust with proceeds helping to protect northwest Montana’s one-of-a-kind bird and wildlife habitat, clean water, working family farms, and beautiful open spaces for generations to come. Tickets are $35/single and $70/couple. Or, purchase your tickets by calling us directly at 406-752-8293 or email Paul at ptravis@flatheadlandtrust.org. 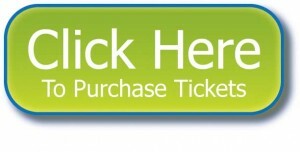 Tickets are now also available for purchase at any Park Side Credit Union branch in the Flathead Valley. 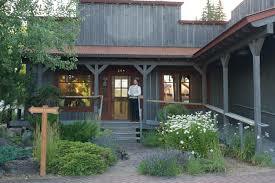 Cypress Yard is located at 204 Wisconsin Avenue, Whitefish.